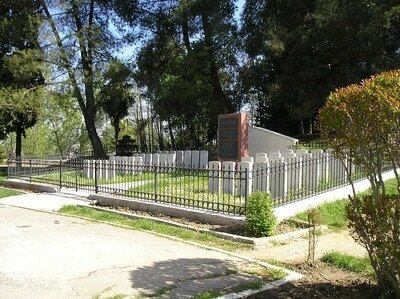 The Cemetery is situated in the Great Park of Tirana,close to the hotel Sheraton and Polytechnic University of Tirana. Follow Boulevard Deshmont Kombit until you come to Mother Teresa Square. Turn right, follow the road and then turn right again and follow the directions to Tirana Park. Go through the main entrance and follow the wide paved road up the hill keeping to your left hand side for around 250 metres where you shall see the CWGC Plot on the left. This cemetery may be visited any any time however please note that it is kept locked with a a combination padlock. The number is 19921. Visitors are kindly reminded to relock the cemetery when leaving. 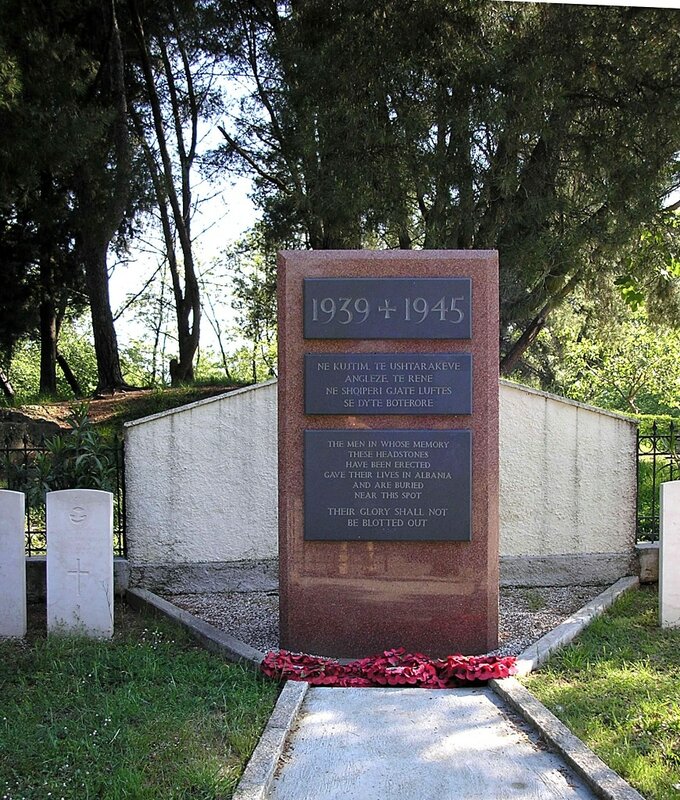 Following the end of the war in Europe, an Army Graves Registration Unit entered Albania with the task of concentrating the remains of Commonwealth Servicemen, lost in the struggle to secure Albania freedom, into a site chosen in the capital, Tirana. However, due to the political situation in the country, this task could not be completed, though 52 sets of remains were recovered in the short time available. Eventually, in 1955, after repeated requests to enter the country were refused, the Commission took the decision to commemorate the 38 identified casualties on special memorials erected in Phaleron War Cemetery in Greece. This situation remained thus until 1994, when a change in the political situation in Albania allowed a Commission representative access for the first time. He discovered that the original individual burials had been moved by the Communist authorities to an unmarked collective grave located under a path near the university buildings in Tirana. At the beginning of 1995, the 38 special memorials were removed from Phaleron and re-erected as close as possible to the site of the mass grave, in an area designated the Tirana Park Memorial Cemetery. In 1998, following a study of the Graves Registration unit files, it was possible for the Commission's records staff to confirm the identities of a further seven casualties previously buried in Tirana War Cemetery as unknowns. There is also 1 special memorial here, an alternative commemoration to a lost grave in Shepr, Albania.